Want to recycle more and do your part for the environment? In a busy metropolis like NYC, it’s not always so easy to recycle when you want and where you want. Intellibins brings all the information you need to be a more conscious environmental citizen straight to your mobile phone with Android and iPhone versions of the app available in private beta. Leveraging public open data at the civic level and integrating it with a platform that was built by a rockstar team with experience at Fab, MakerBot, Fox News, Priceline, and American Express, Intellibins is making the recycling experience seamless and ambitious about improving the poor 15% recycling rate in NYC. Today, we sit down with Kathryn Hurley, Intellibins Cofounder, to discuss how Intellibins plans to disrupt recycling as we know it. Intellibins gives users the ability to find the nearest public recycling location using a mobile device, including recycle bins, merchant locations, and municipal locations thereby connecting users, merchants, and government through recycling. 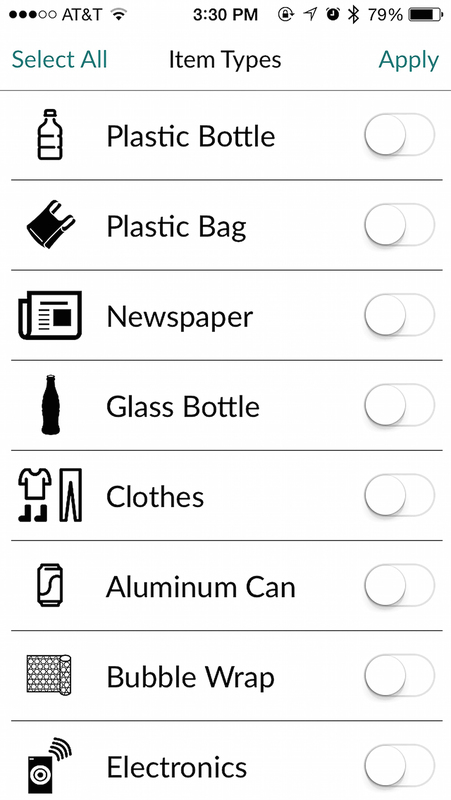 There are other companies with mobile apps tackling recycling but the specific location-based ones are limited in the recycle locations available and a friendly user experience. The mobile technology that we’ve built and continue does not exist yet to the extent that we are trying to achieve. We are aiming to provide the technology that will allow users, merchants, and government to all benefit economically through real-time dissemination and capture of sustainability locations. Intellibins anticipates that our average user will be someone in the following categories: (1) a user who prioritizes recycling, (2) a user who would prioritize recycling if there were more recycling options available, and (3) a user who does not care about recycling but cares about deals and incentives. This is a huge demographic and taps into a few markets such as sustainability, re-commerce, and e-commerce. The initial business model will offer merchants in-app advertisements and products through a user rewards program. Intellibins was a winning Google Glass hackathon project last year where the co-founders first met and tackled a prompt from the NYC Economic Development Corporation, which was to build an app that would make NYC a more sustainable society. With only 48 hours to build a useful, working product, the team chose to focus on recycling. We want users and merchants to benefit from recycling rewards programs, gamification, share activity on social media, and we want to provide in-app wikis for user interaction with the data. Use every networking opportunity to receive feedback and really spend time evaluating the feedback. Learning under The GovLab’s Civic Tech for Legislators and Legislatures coaching program with Councilman Ben Kallos really helped us appreciate this point. Minerva Tantoco – NYC’s first Chief Technology Office. In order for Intellibins to disrupt the recycling/reuse, sustainability, and civic tech industry generally, Minerva and her office staff will have to be key stakeholders in our ecosystem. Minerva is also a native New Yorker and since this is our trial city, it would be great to connect with someone who could think critically about our business model from a native’s perspective. Not to mention, three out of the four Intellibins co-founders are women. It would be great to receive some advice from such an influential woman in the tech industry. 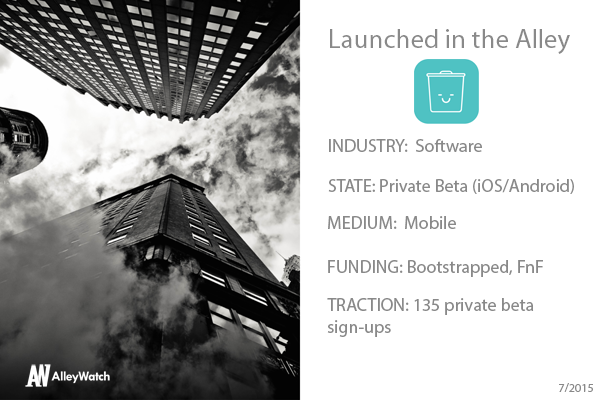 Intellibins was born from a hackathon prompt from the NYC Economic Development Corporation. Beyond this, New York’s recycling rate is only 15 percent which is less than half the national average. Some of the problem is that people are not recycling because it’s confusing, inconvenient, and there is no sense of individual impact. In addition, the data available to help combat these barriers is limited. Cities like New York lose revenue without effective recycling and composting systems and the costs eventually flow to the public – both merchants and consumers. Where is your favorite outdoor bar in the city for a drink? We’re not big drinkers but we love Lucali’s pizza in Brooklyn.